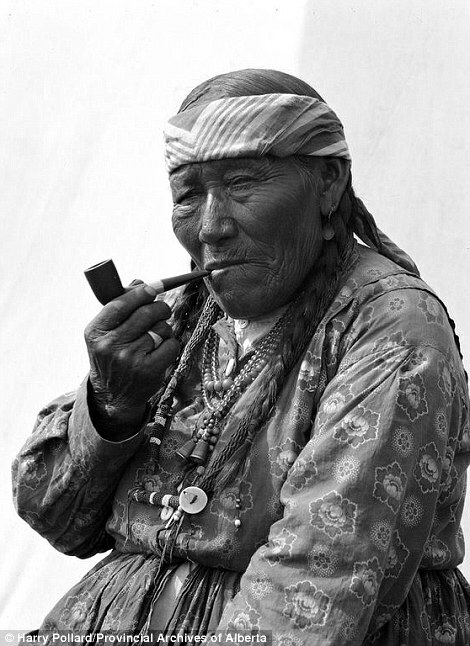 Studio photographer Harry Pollard spent time documenting the beauty and resilience of members of several tribes. 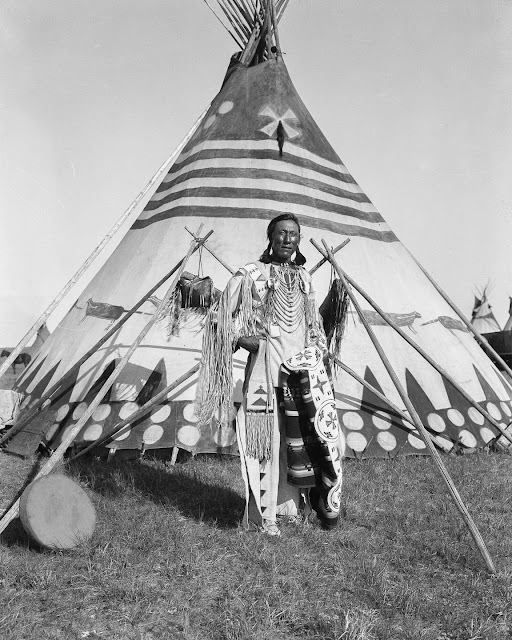 His breathtaking collection included the Tsuu T’ina, Siksika, Kainai, and Piikani tribes, captured in traditional dress. 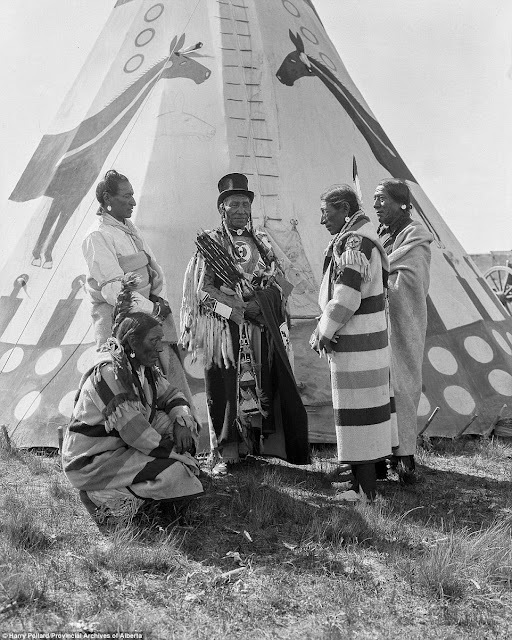 Interestingly, the historic images, which can be found on the Provincial Archives of Alberta, include the individuals' names and tell a story in themselves. 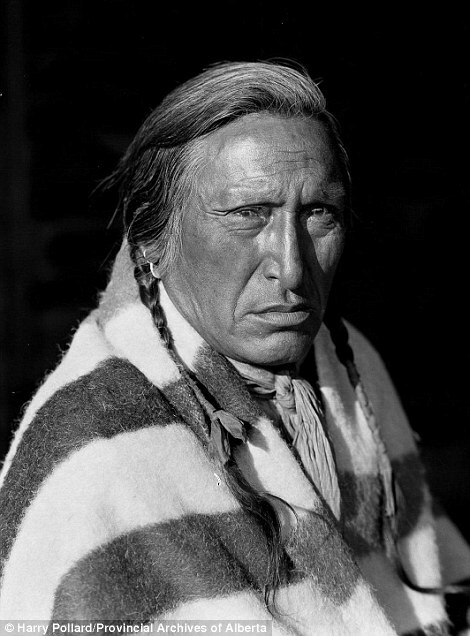 Many of the titles are themed around nature, like Lone Walking Buffalo and Running Antelope. 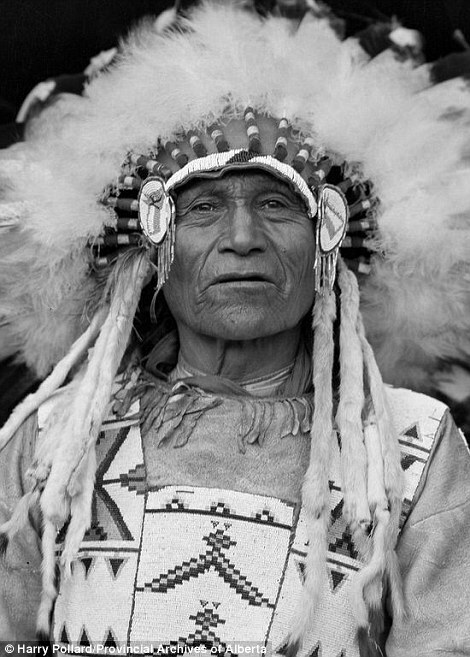 Others focus on their status within the tribe, like an individual Pollard met called Spring Chief. 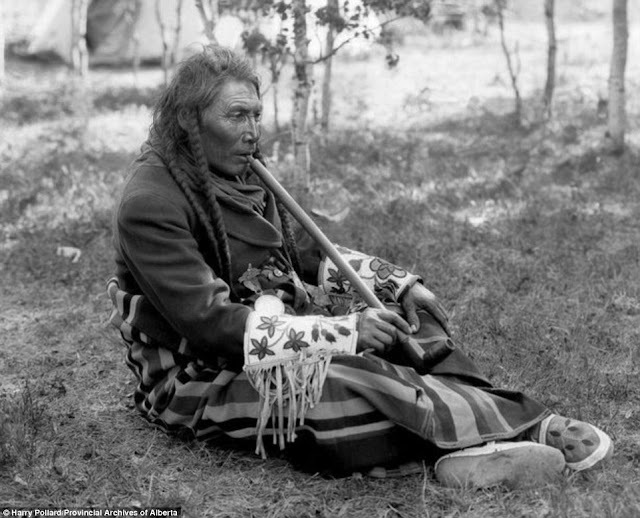 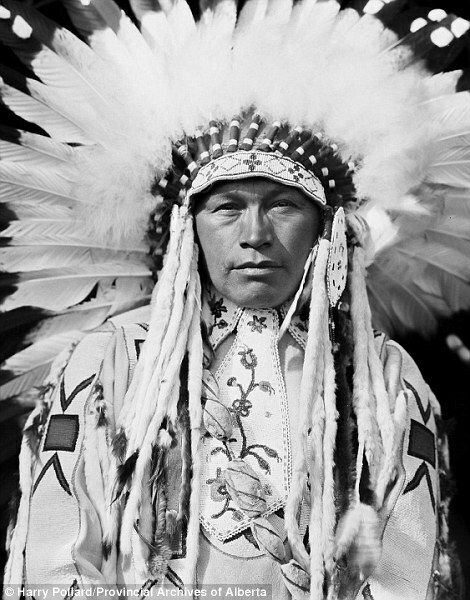 Pollard was born in Ontario, Canada in 1880 and specialised in photographing native people. 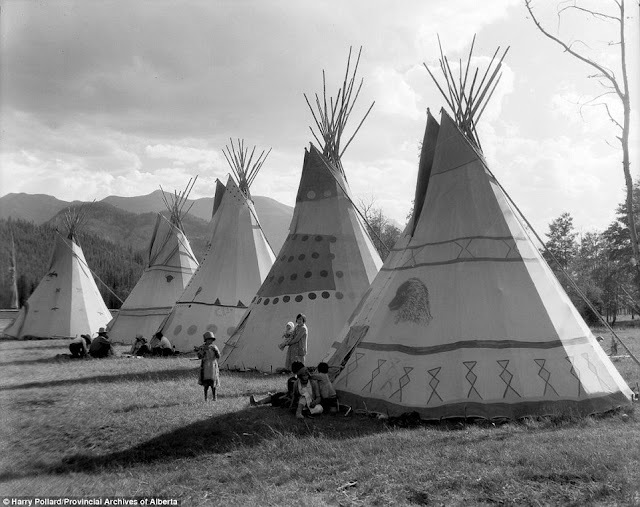 As a young photographer, he arrived in Calgary in 1899 and opened a studio there. 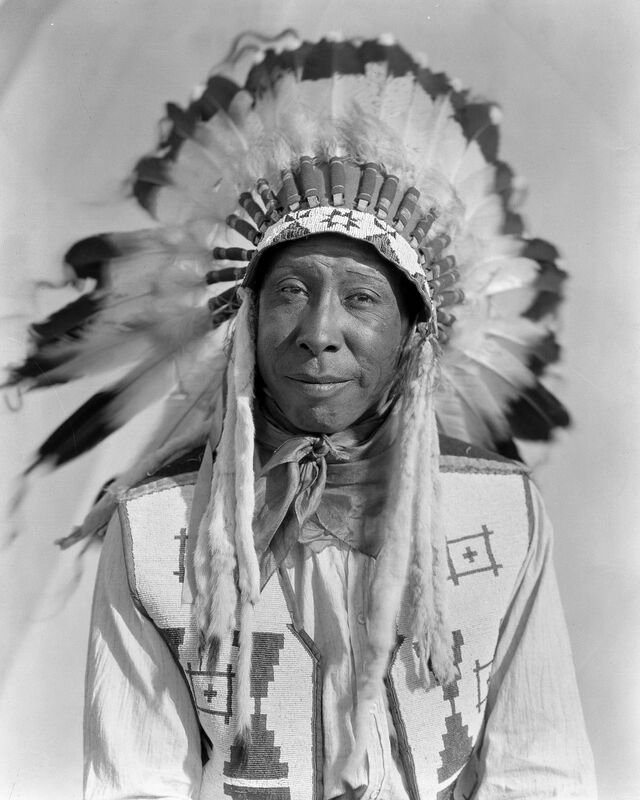 He was later commission to produce promotional pictures of ocean cruises, which saw him travel around the world 14 times. 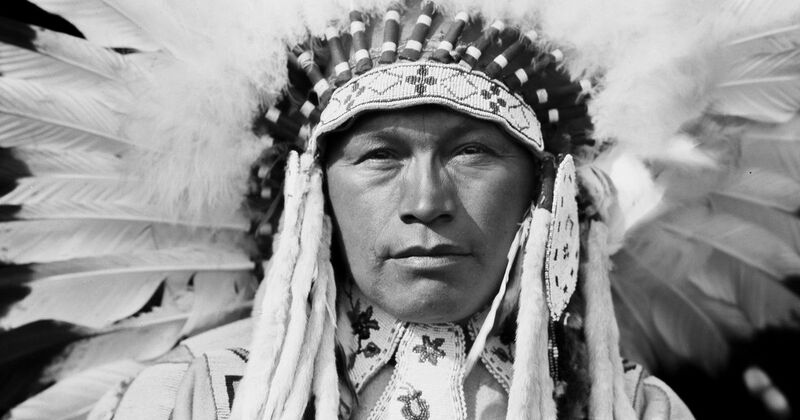 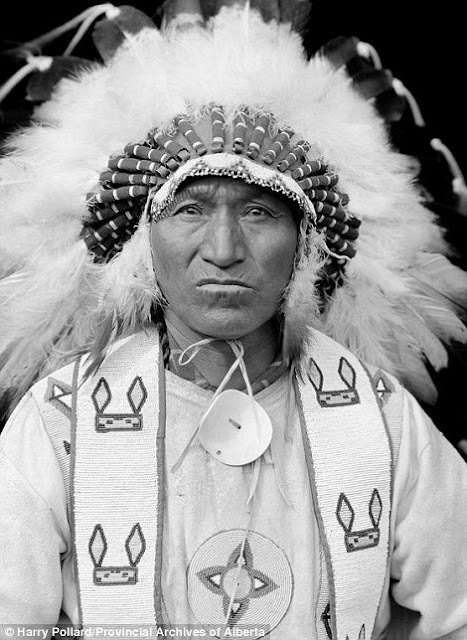 His breathtaking collection included the Tsuu T’ina tribe, whose population had fallen to just a few hundred members when the pictures were taken circa 1910. 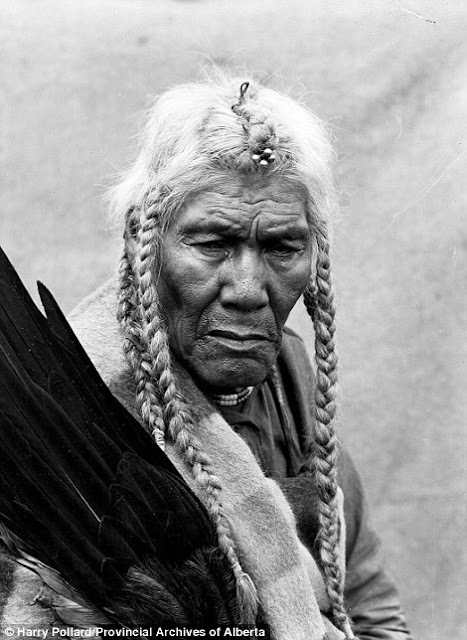 Thankfully, numbers have since risen to a couple of thousand individuals. 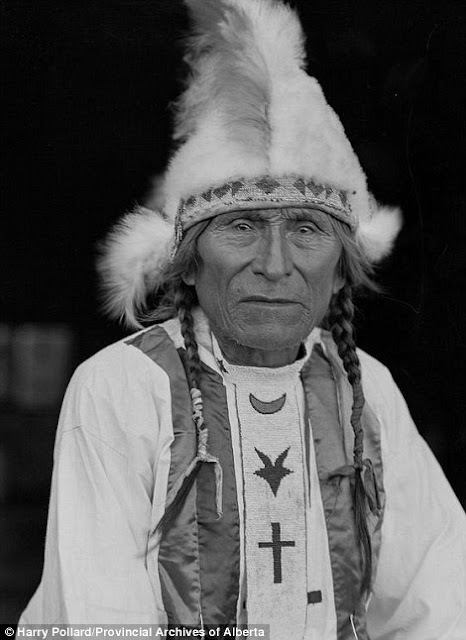 "Herbert Lawrence of Siksika Nation." 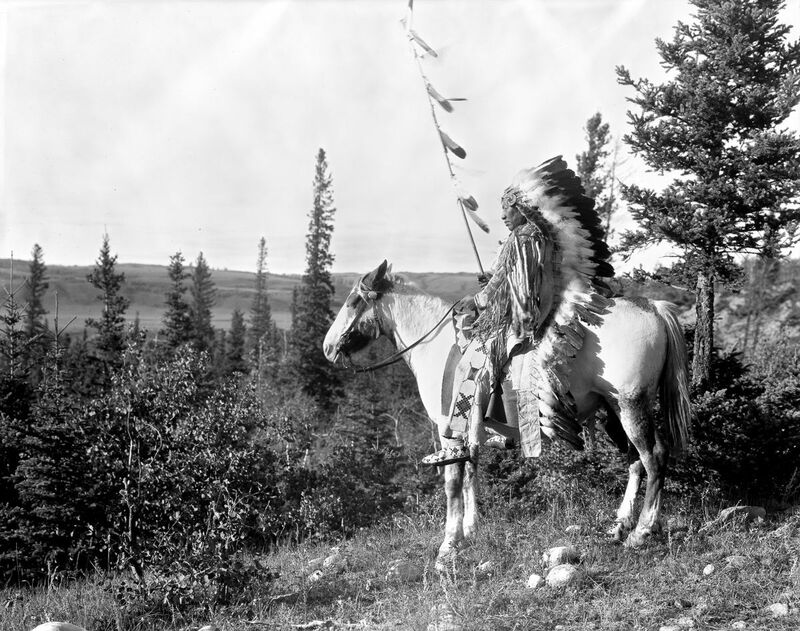 "Walking Buffalo of Nakoda Nation." 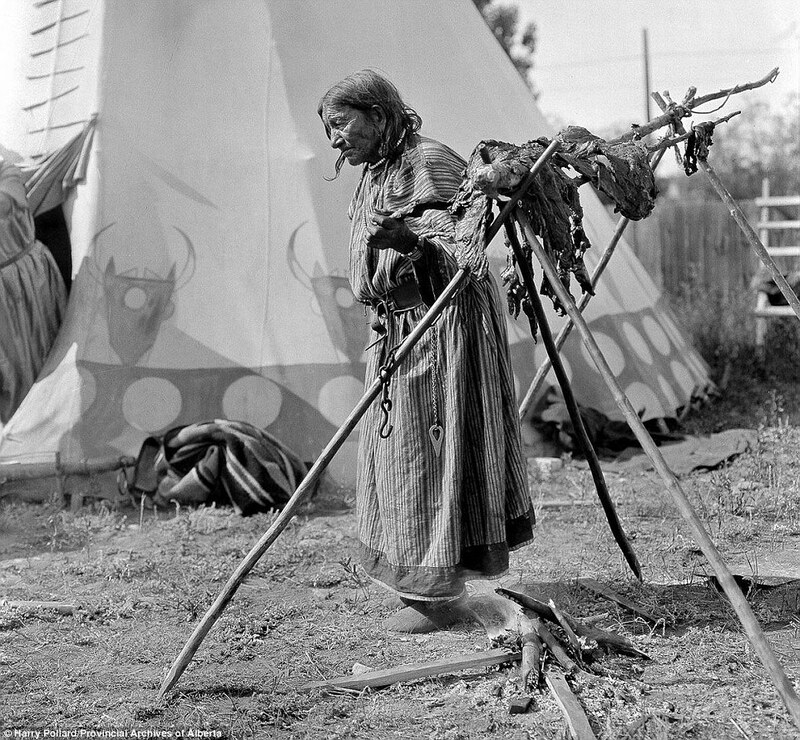 Responses to "Hauntingly Beautiful Photos Show The Original Settlers Of Western Canada"